Hello lovelies. Hope you all had a wonderful weekend. Today I’m sharing a comparison video and a review of the two new portable printers that I’m currently using for my memory keeping, the Fuji Instax Share Printer 2 (Gold) and the HP Sprocket in white. Khanka Hard Case Travel Bag and the CaseSack Travel Pouch Case with Zipper in Rose Gold. If you found the video helpful, please take a moment to give it a thumbs up. Thanks for watching. have a great week! Last week I mailed out this batch of Pocket Letters and I’m pleased to say that they have all arrived at their new homes. I’m so happy that they were well received! I must admit, I’ve been taking on more swaps than I said I would, but making these little bundles of Happy is just too much fun! I spent the other morning in my art studio crafting books with my Cinch Book Binding Tool, by We R Memory Keepers. 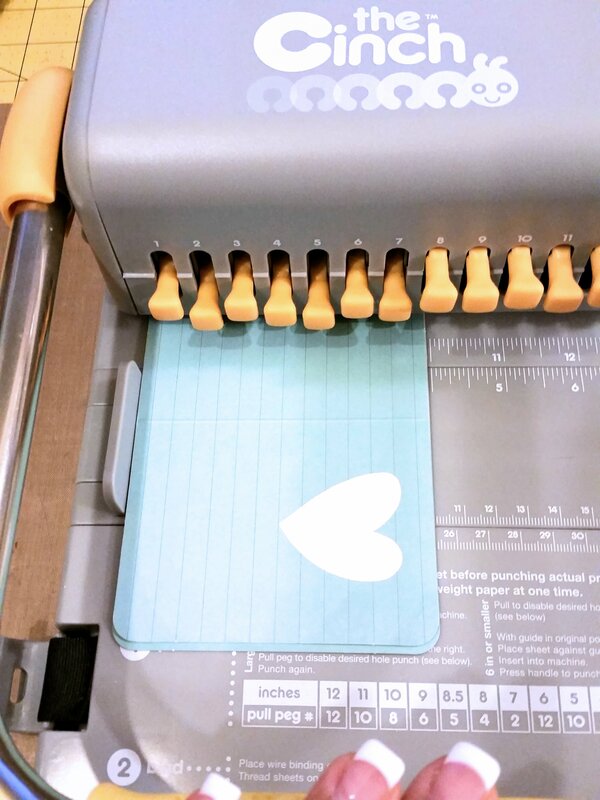 I created a few different types of books in a short period of time and thought I’d share with you just how fun and easy book binding can be with the Cinch. I received mine a few months ago and have used it a few times, but with the holidays fast approaching, I thought it would be a great opportunity to whip up a few gifts and make it a handcrafted holiday. 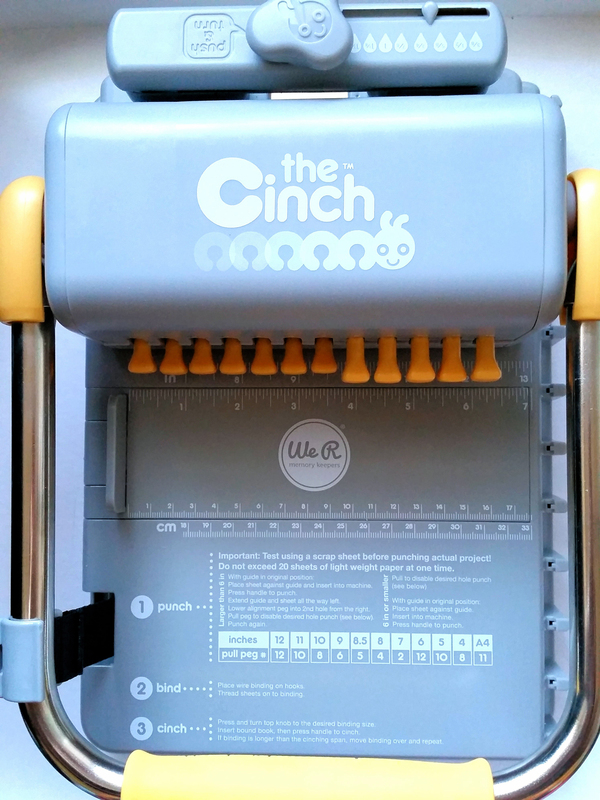 There are a couple of different versions of the Cinch available; one punches round holes, the other square. Mine was purchased from Amazon and I opted for the square holes. You can find more info about it HERE . 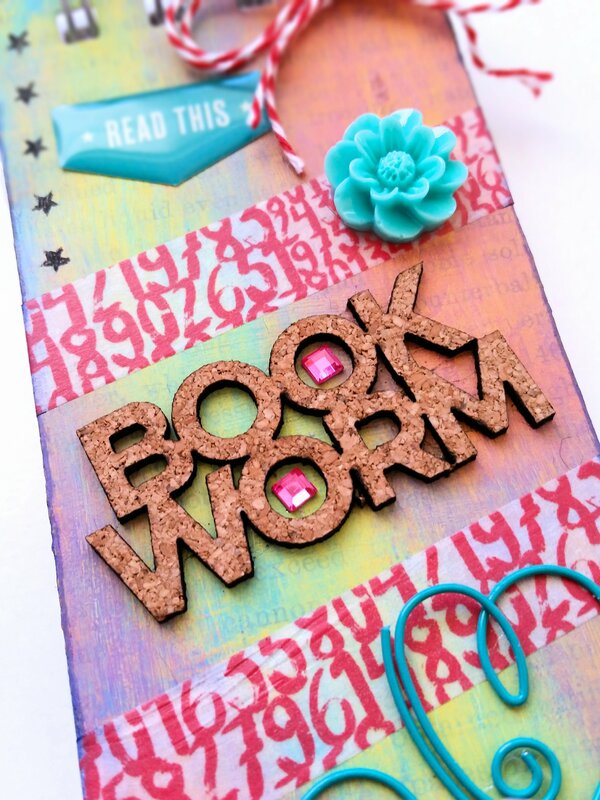 This first book was created with a mixed media background, using dictionary paper, alphas, paints, inks, stamps and pens. 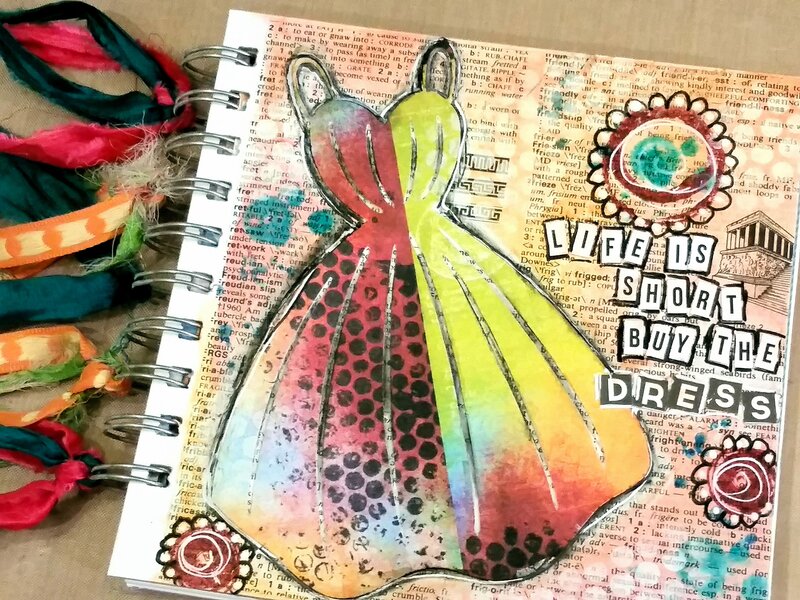 For the inside of the book I used heavy drawing paper and incorporated a few extra bits like a mini file folders, a few journaling cards, a mini paper bag and although you can’t see it in the photo, I added in a few of my own gelli prints cut down to size. 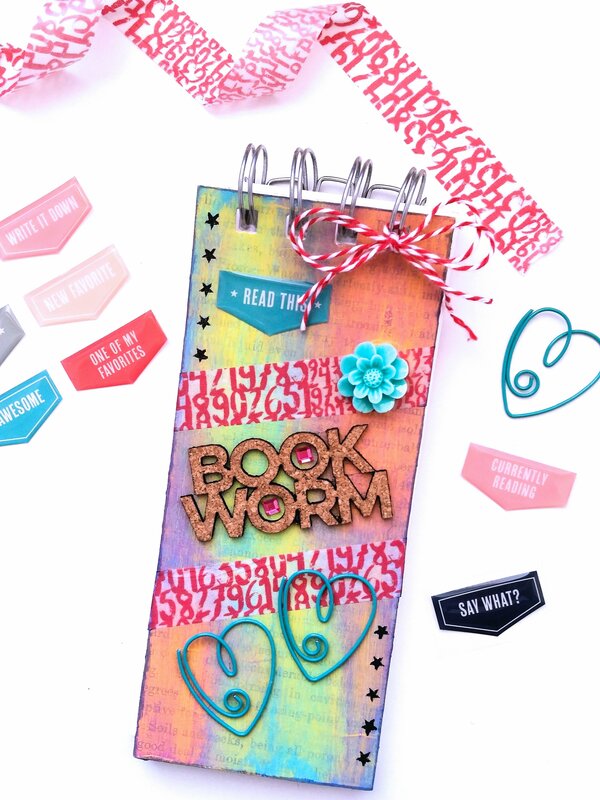 You can add a variety of different elements to your books to really personalize them, like calendars, artwork and even photos. 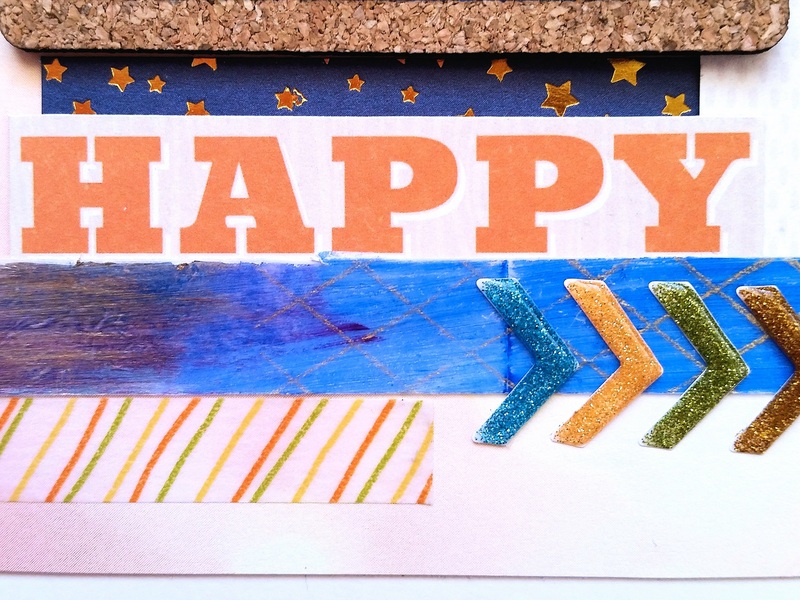 If you are into mixed media and using a gelli plate, this is a fabulous way to use up some of the gelli prints that you likely have piling up. 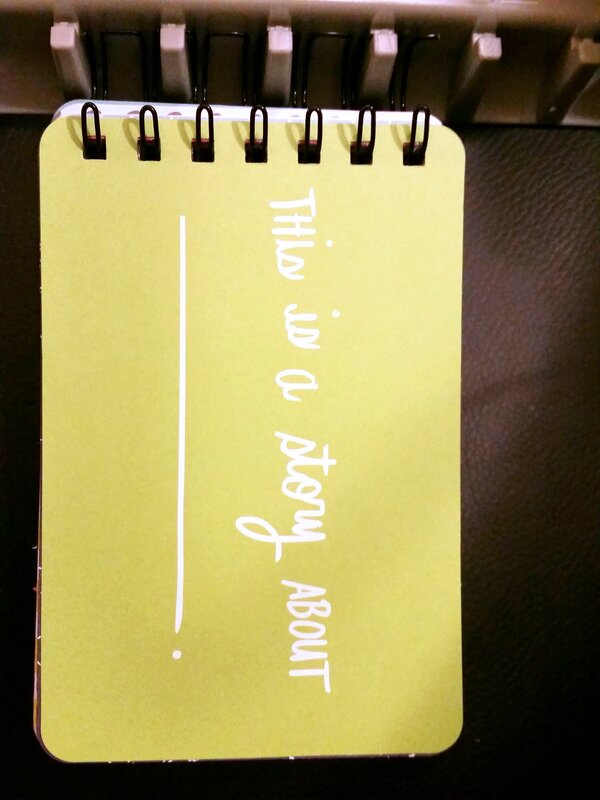 You can incorporate them into a junk journal. 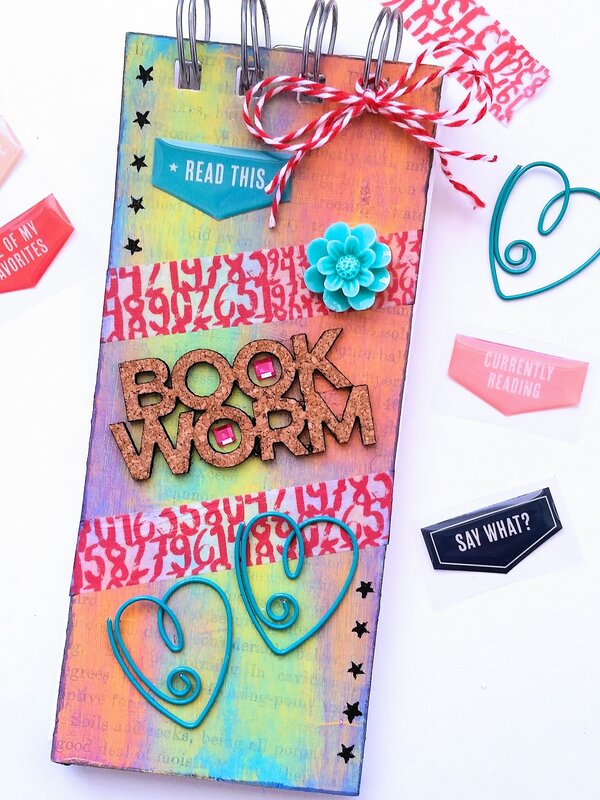 The other type of book that I made, the one I’m most excited to share with my fellow scrappers, is one that I created using my stash of Project Life cards! With my focus more on mixed media these days, I find that I’m doing fewer scrap layouts, yet I have more kits than I care to admit just collecting dust. This is a great way to use some of them up. 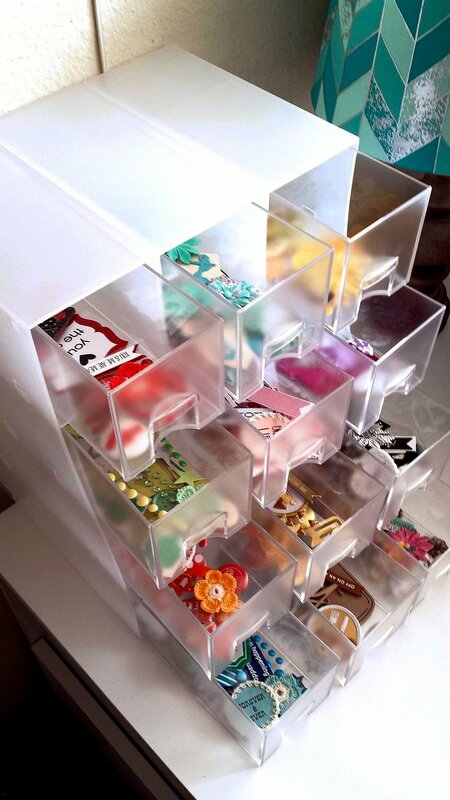 For the demo I’ll show you here, I chose the Sunshine core kit and selected both 3×4 and 4×6 cards. 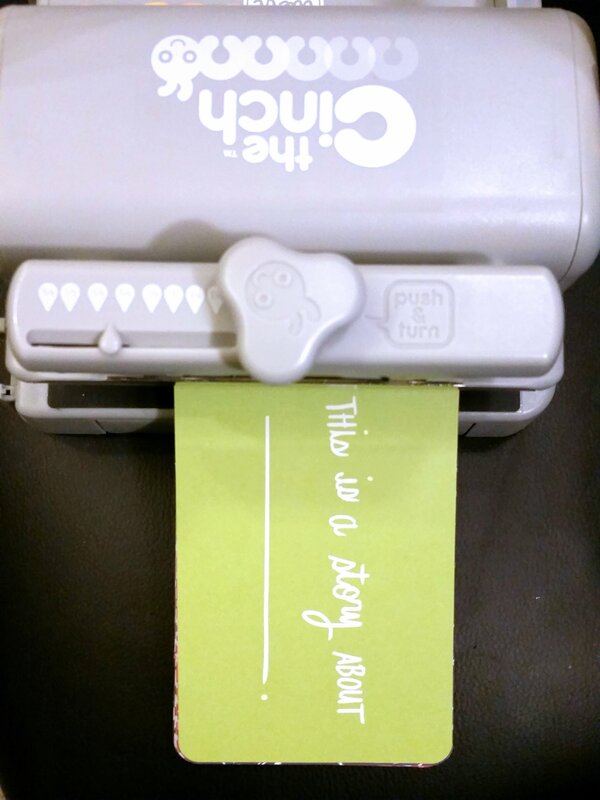 Taking care to align the cards properly, I inserted them into the Cinch to punch the holes. You only want to punch a few at a time. Next, using wire cutters, I trimmed a Cinch binding wire to the appropriate size, placed it on the pegs along the side of the Cinch and threaded my cards onto it. To close the binding wire, I inserted it, along with the threaded cards, into the slot in the back and cinched it closed. To jazz it up a bit, I added some ribbon along the wire binding and there you have it, a Handcrafted Holiday gift that is sure to touch someone’s heart. These little books make great gifts because of their versatility. 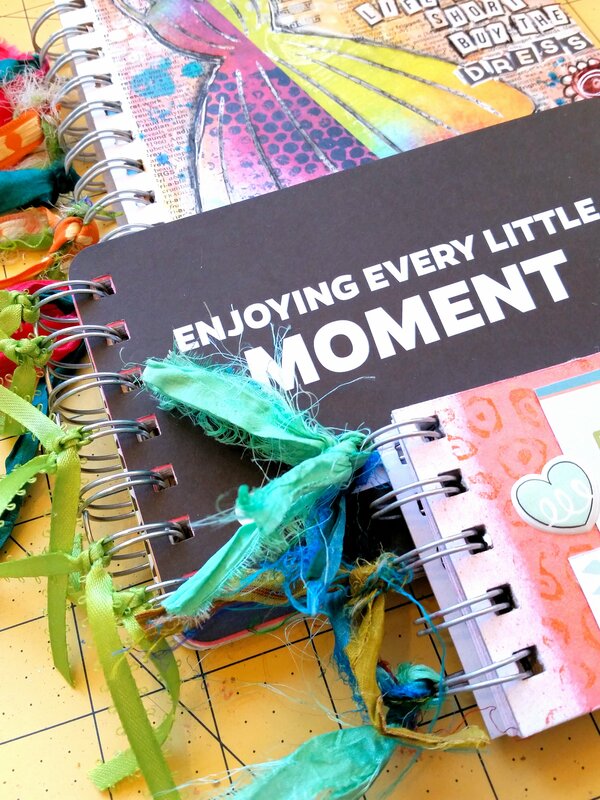 They can be used as Smashbooks, photo albums, day books, recipe books, even small art journals; the possibilities are virtually endless. A view of the inside of the book. The amount of journaling that I include onto my art journal pages varies. Sometimes it takes lots and lots of writing to express what I’m feeling, but more often than not, a word or two will do the trick. Usually I’ll flip through old books that I keep specifically for this purpose, looking for just the right words to cut out. Thing is, that can take a lot of time and that’s time I could be spending making pretty things, so I’m forever on the lookout for new text stickers to use in my paper crafting projects. Imagine my delight when I walked into The Making Place Escondido and came across these beauties! I don’t know if they’re NEW new, but they’re sure new to me and I scooped them up as fast as I could. 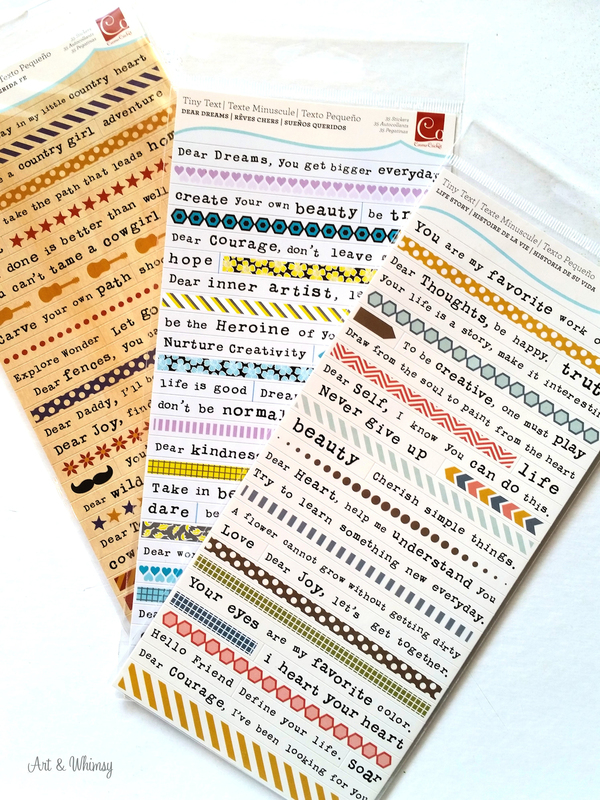 These are “Tiny Text” by Cosmo Cricket and I adore them. 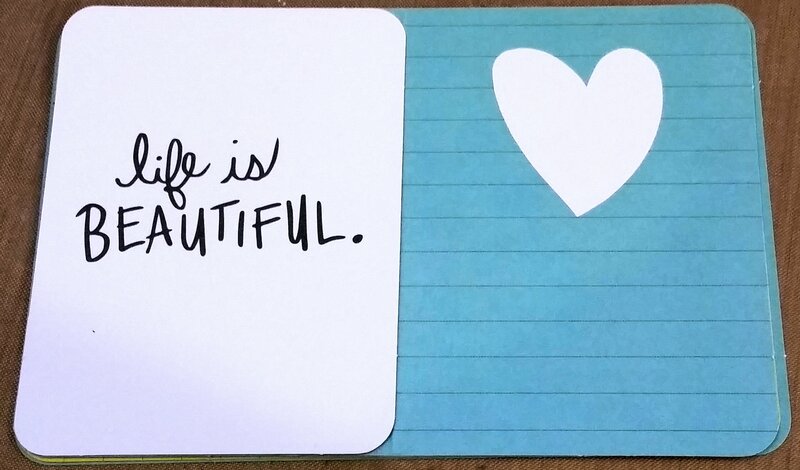 I like the font and how the letters are just a bit askew and the words and sentiments are fun and fresh. I would definitely encourage you to shop around for a good price though. They’re listed on Amazon priced anywhere from $5 – $10 each! That’s just crazy talk right there, if you ask me. I paid $1.69. 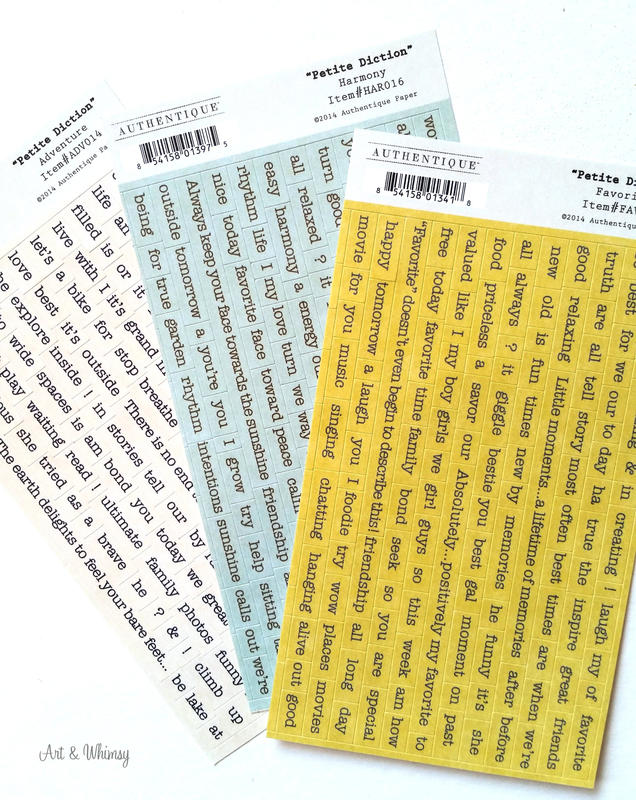 These are “Petite Diction” by Authentique. Different in style than Tiny Text, but I love them just the same! 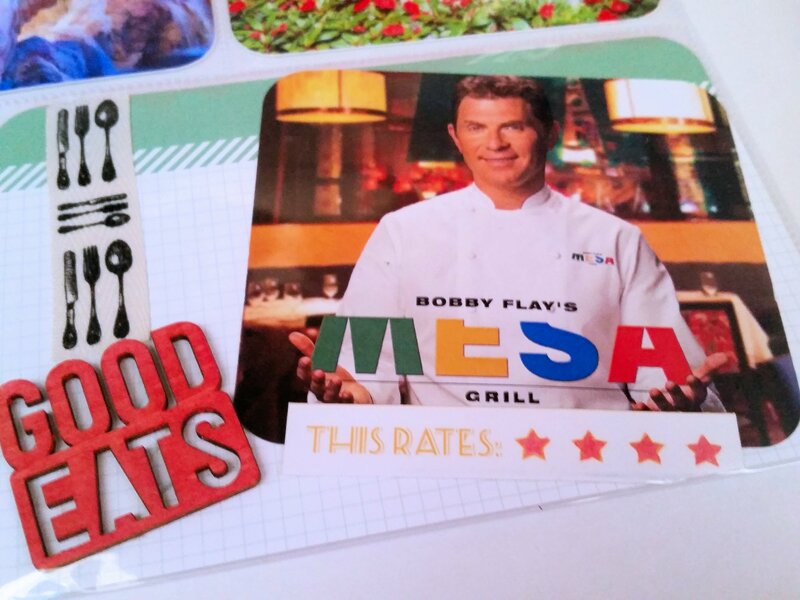 Each sheet has a theme; shown here are “Adventure”, “Harmony” and “Favorite”. The words and sentiments on each sheet correlate to the theme, which makes it easy when I’m trying to convey a particular feeling or positive affirmation. Again I encourage you to shop around. Amazon is selling them for just under $5. I paid $1.39. I’ve been asked if you can mix pocket style layouts and traditional layouts in one album. My answer is sure you can, it’s your album, do what makes you happy! 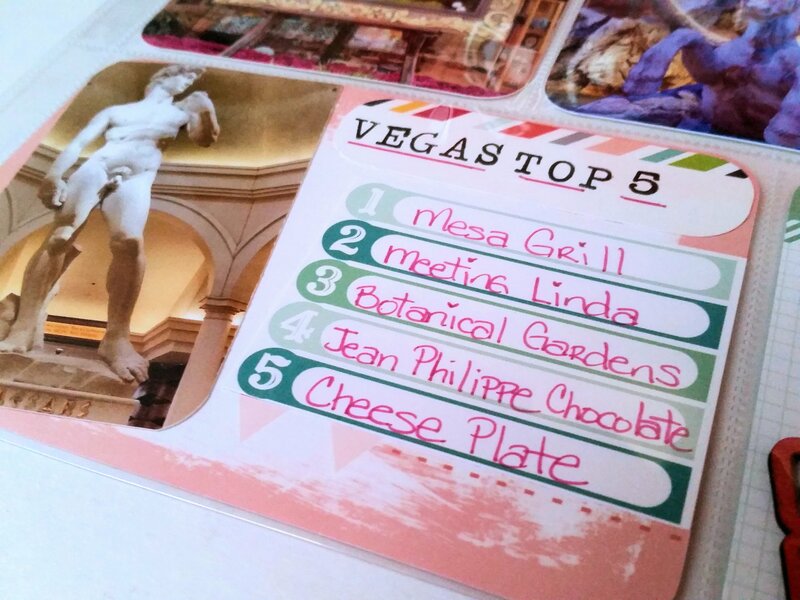 Many years ago, when I first began scrapbooking, there was no such thing as pocket scrapbooking or project life, so all of my layouts were what we now call “traditional” layouts. 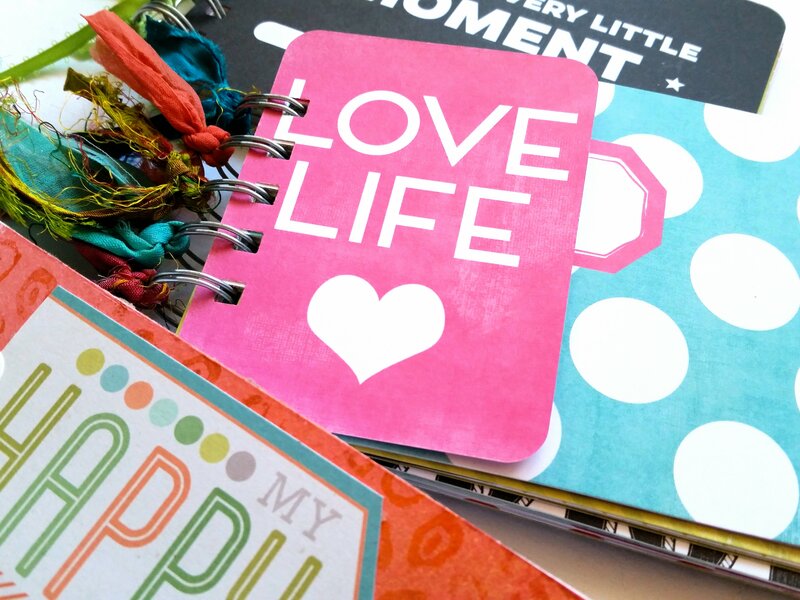 After a while, my interest and desire to devote so much time to scrapbooking began to wane and my many supplies went untouched for a long time, up until about a year ago. 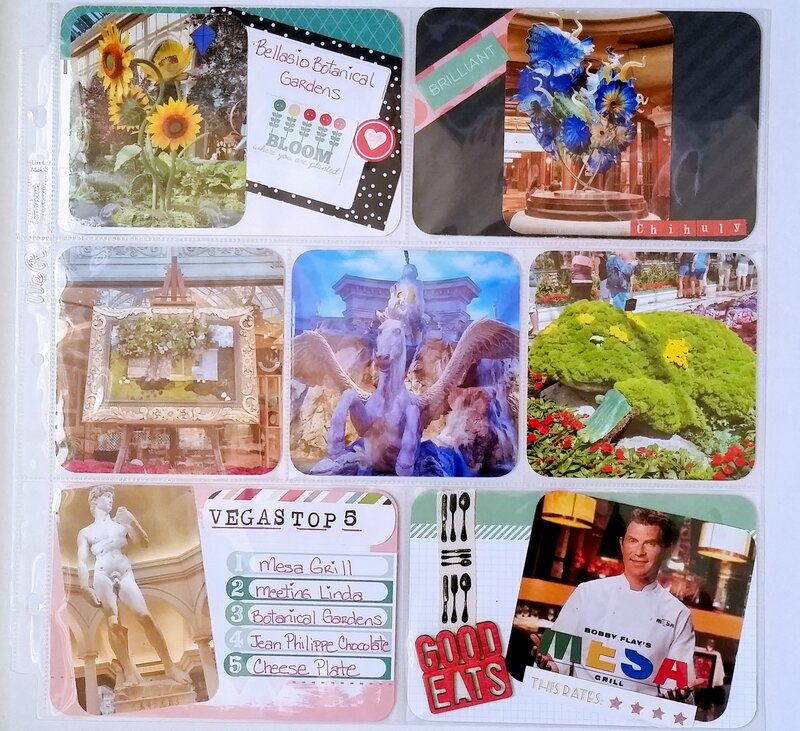 Thanks to Project Life and pocket style scrapbooking, my interest was piqued once again and I was off and running with a new obsession, as I’m oft prone to do. While my main style of scrapping these days are pocket style layout, I still sometimes want to showcase a particular photo or event on a larger scale and a traditional layout is a great way to do it. 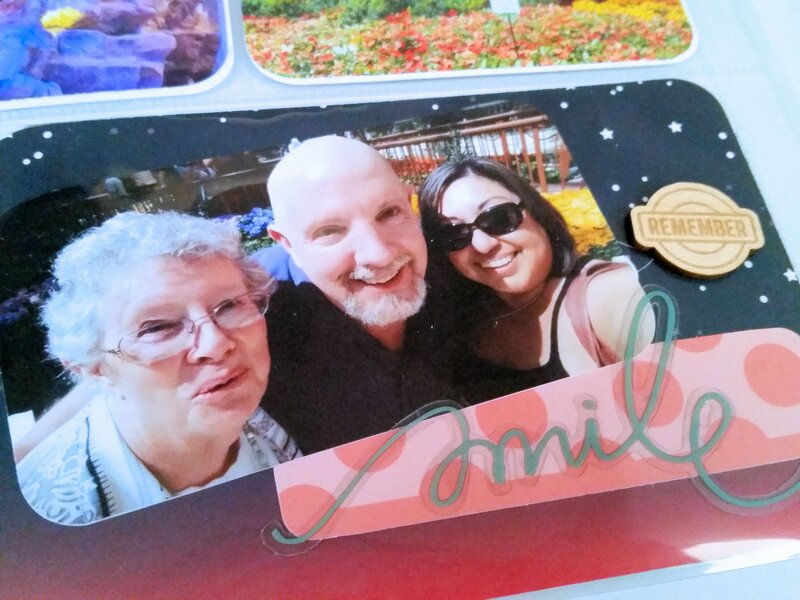 You can find various sizes of page protectors or cut and stitch your own to size, then just slip it right into your album along with all of your other layouts. 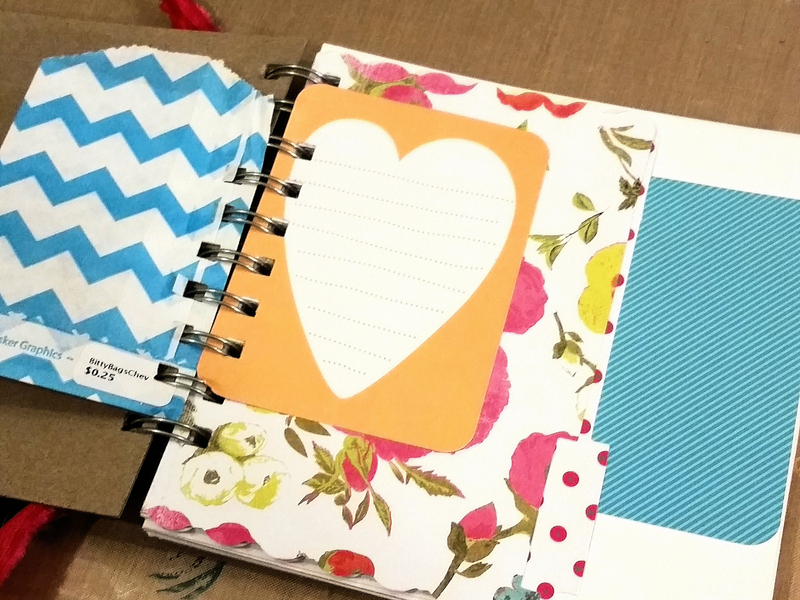 There’s no wrong way to scrapbook. 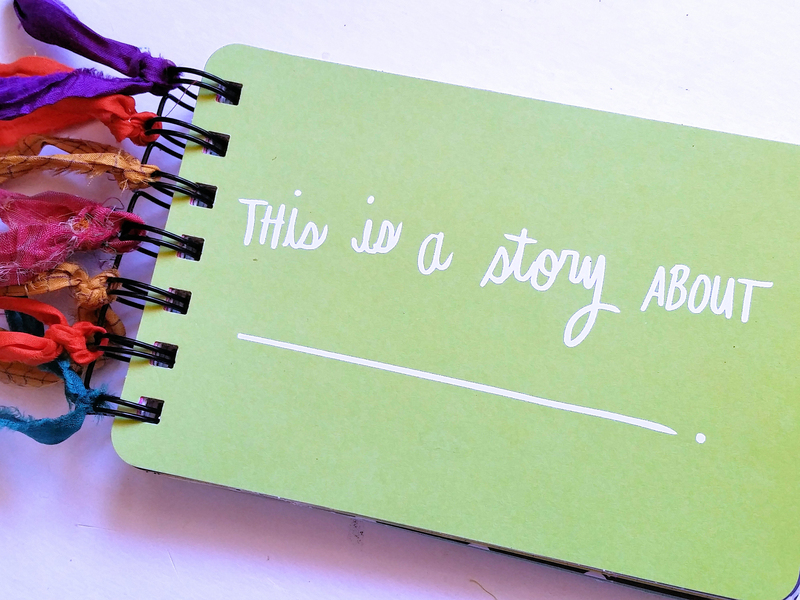 So whether you journal a little or have a lot to say, use just a few embellies or embellish a lot, or whether you mix pocket style layouts with traditional layouts, your album is Your story, tell it the way You want to and above all else, have fun with it! Credits: Embellishments and striped washi from Freckled Fawn, the sentiment and “Happy” was a card from the Coral PL kit that I cut, the paper is from my own stash and the darker washi is home made, made it myself. Thanks for looking! With my focus being more on art journaling these days, I’m just not putting together as many scrapbook layouts as I used to. 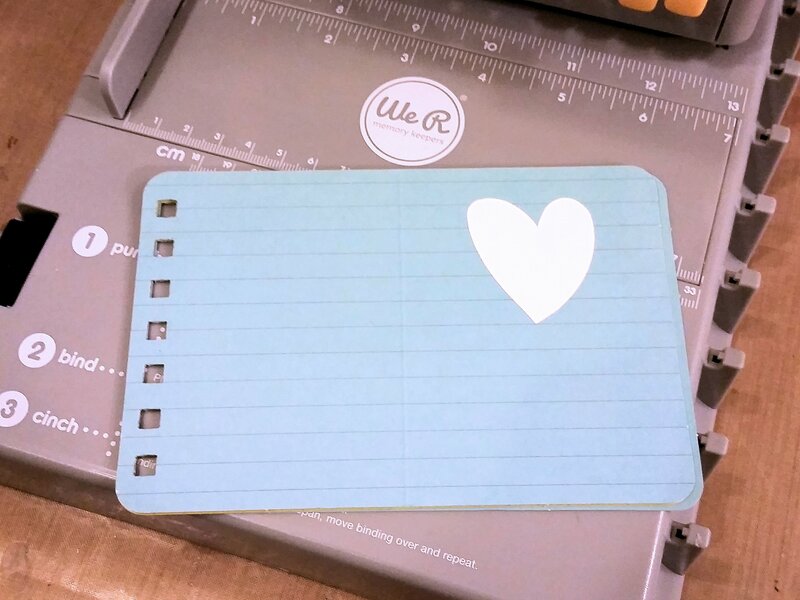 There are, however, a couple of monthly kit subscriptions that I just can’t bear to part with, the OhDeerMe kit by Freckled Fawn being one of them, so I decided to put some of those adorable embellishments to good use making a handcrafted mini notebook. I’d been hanging on to some leftover pieces of cardstock “just in case” so I thought this would be a good opportunity to use those as well. Sometimes it pays off to be a “craft hoarder”! Using fluid medium, I adhered an old dictionary page to the piece of cardstock that was to be my cover, then scraped on a thin layer of gesso using an old gift card. Once dry, I brushed on some Dina Wakley acrylic paints and used her stiff bristle brush to really work the colors until I got the desired blended look I was going for. Since I used such little paint it was dry enough to bind in a matter of minutes. 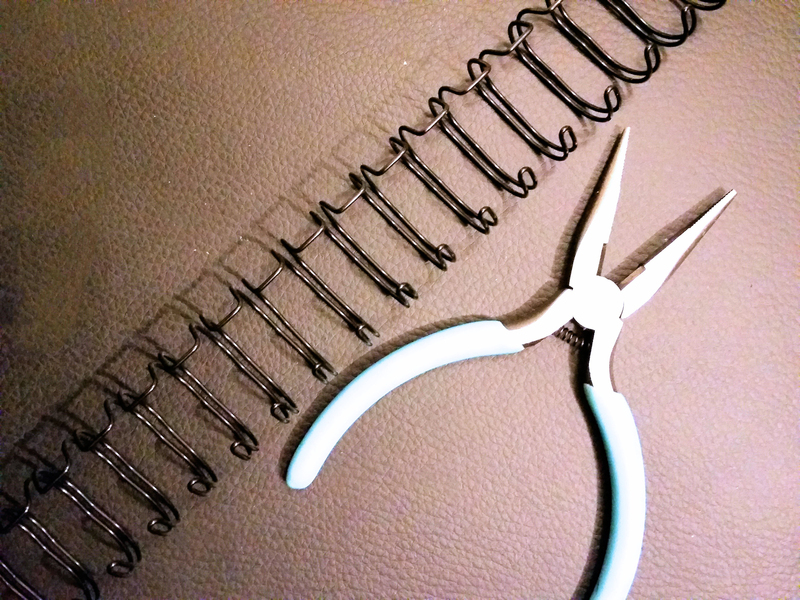 To bind the notebook I pulled out my Cinch Book Binding Tool and a scrap piece of cinch wire… yay, another scrap used! 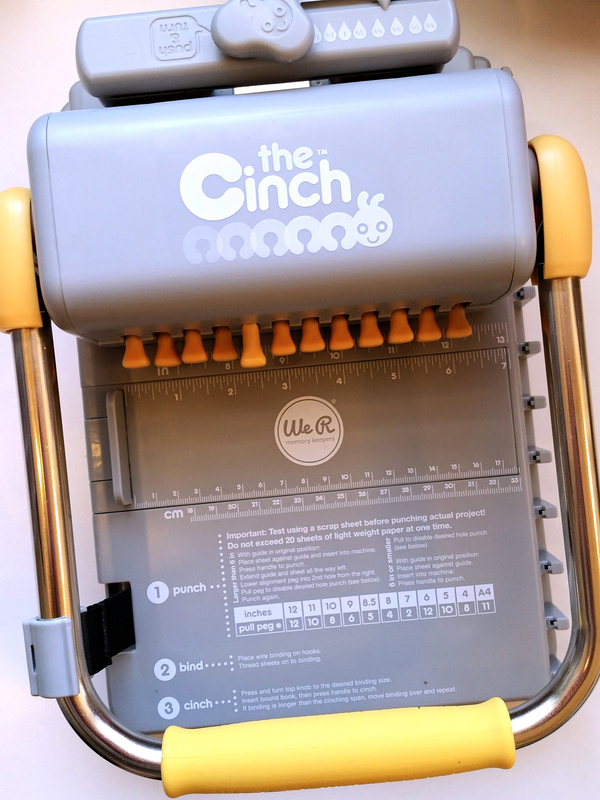 If you’ve never used Cinch Book Binding Tool, let me just briefly tell you it’s pretty darn cool and so easy to use! I got the newer version because I wanted the one with the square holes, but Amazon carries both versions at a decent price. 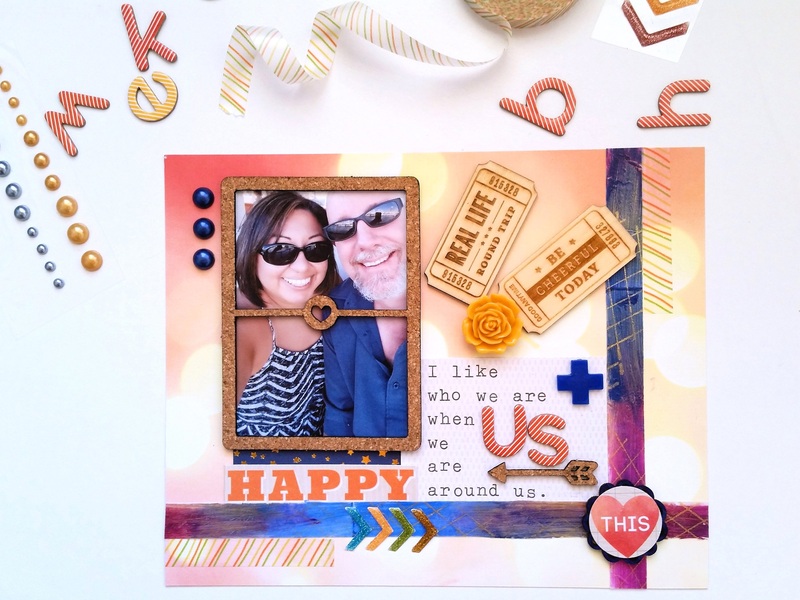 Last week Scrapbook Steals had The Cinch as one of their daily steals and it may still be available in their archives. Once the notebook was bound, which took just a couple of minutes, I set about to make it pretty using embellishments, washi tape and stamps from various past OhDeerMe kits. Credits: Embellishments, star stamp and washi from Freckled Fawn, acrylics are by Dina Wakley, The CInch Book Binding machine is by We R memory Keepers and the paper is from my own stash. Thanks for looking! 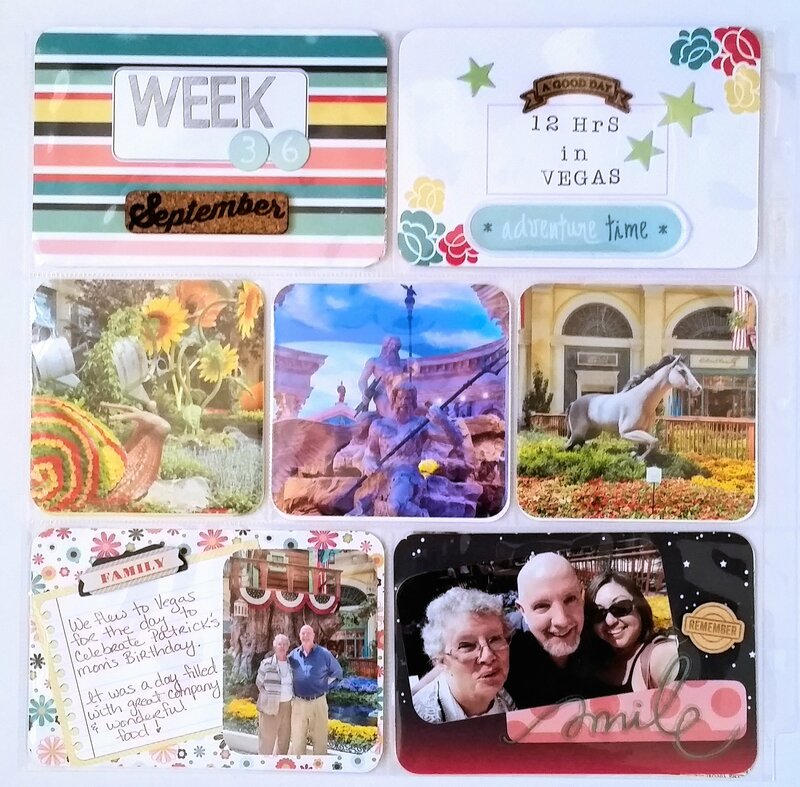 A few weeks ago I created a layout for week 36, it was my Birthday Tea, but I wanted to create another with photos that I took on a whirlwind 12 hr trip to Vegas that took place that same week. It was a great day full of first, Patrick’s and my first trip to Vegas, meeting His mom for the first time, and our first time enjoying at Mesa Grill. It was a wonderful day; we arrived back home tired feet, happy hearts and a full tummy! 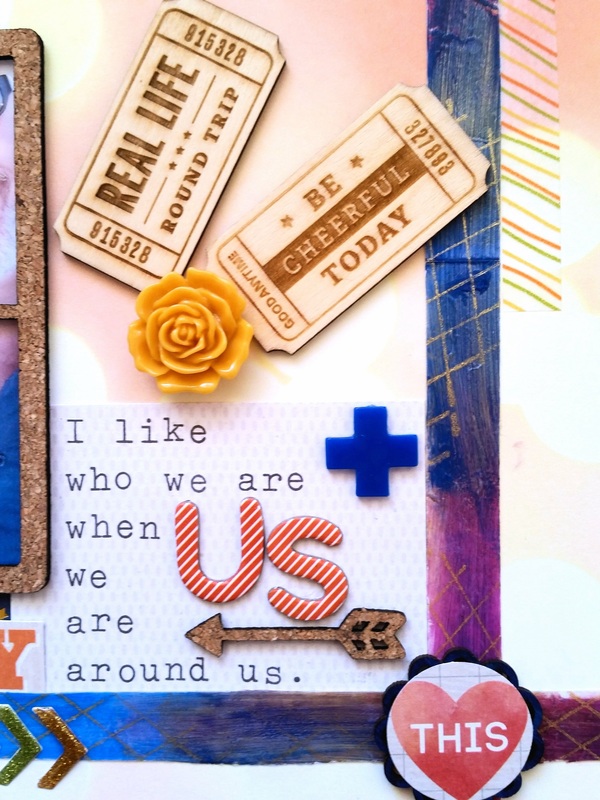 I know that a lot of my fellow scrappers put their layouts together by color and that’s great. I’ve followed many threads discussing the pros and cons, but I just can’t bring myself to do it. For me personally, I find that scrapping by theme works best, it just seems easier. Embellishments however, that’s a whole different story. That I definitely do by color, so I decided to take the plunge and get to sorting. I found the perfect set up for me at Ikea and I’m so excited to share it with you. It’s called a 4-Step Drawer and as you can see, I bought 3 of them. All I can say is Wow, why didn’t I do this sooner?! 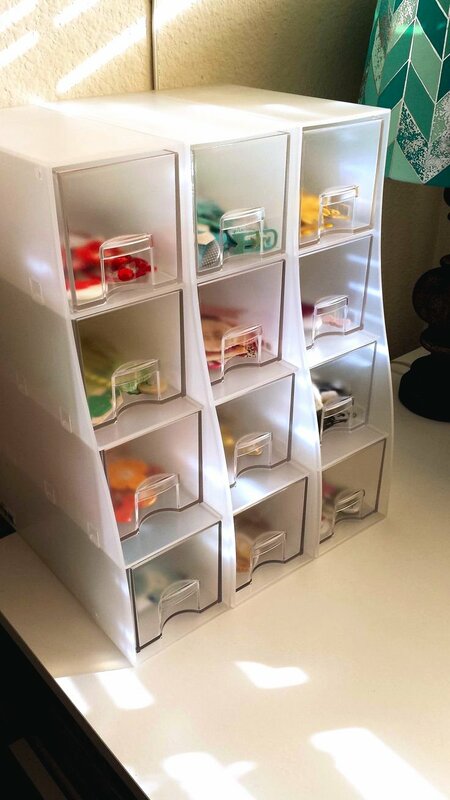 It has saved me a lot of time and I find that I’m using more of my embellishments now because I can actually see what I have, rather than having them all jumbled together in a basket.